Their significant others liked it, so they put a ring on it! (SPOT.ph) Celebrities are already known for their huge, no-expense-spared weddings that even take over social media for a week or two. And while they have the beautiful gowns and the tear-jerking videos, you can also count on them to start it all off with one heck of a rock on their finger—courtesy of their loving groom-to-be that we all shipped them with. 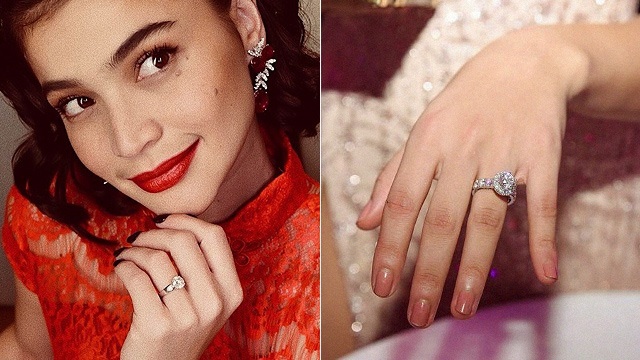 We round up 10 stunningly gorgeous engagement rings of Pinoy celebrities. After two years of dating, Rob Mananquil proposed to girlfriend Maxene Magalona during a trip to Japan. 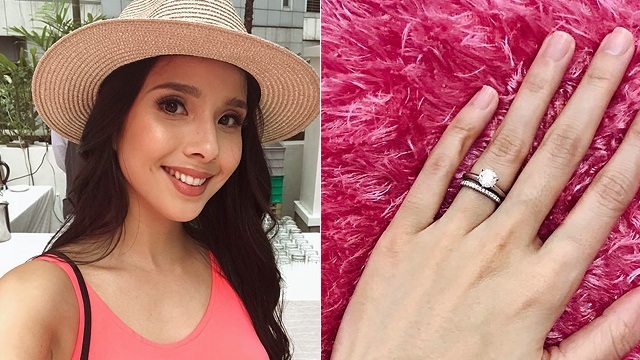 In a report by Pep, Maxene gushed about the ring that her boyfriend-now-husband gave her, saying, “He got me a princess ring 'cos I'm a princess." The princess-cut diamond is set on a platinum band. 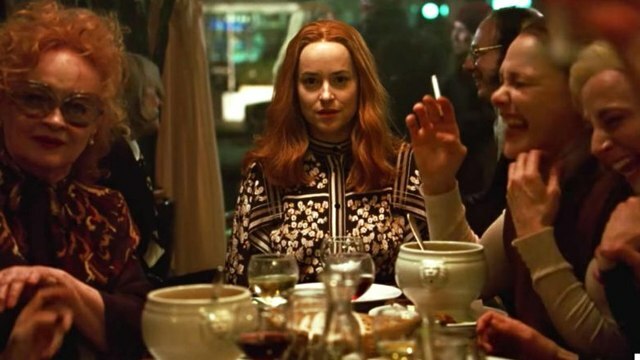 The two eventually exchanged vows in January 2018. Chynna Ortaleza broke tradition and wore a dove-gray gown when she married musician Kean Cipriano in November 2017. 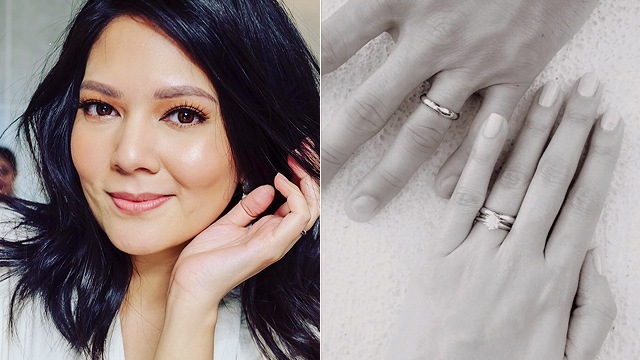 After the fun and playful wedding, Chynna posted a photo of their wedding rings along with her engagement ring, which is a round brilliant-cut diamond on a platinum band. 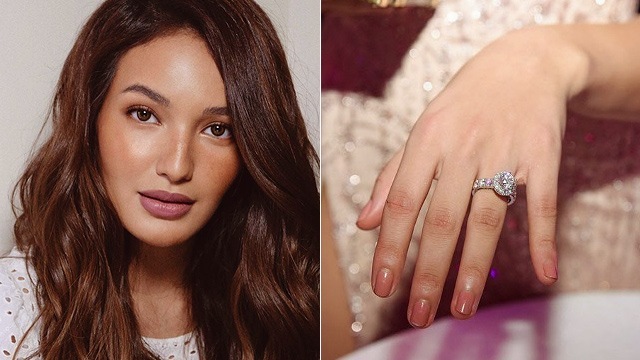 The gorgeous bride wed her boyfriend, actor Pancho Magno, in December 2017 after dating for four long years. 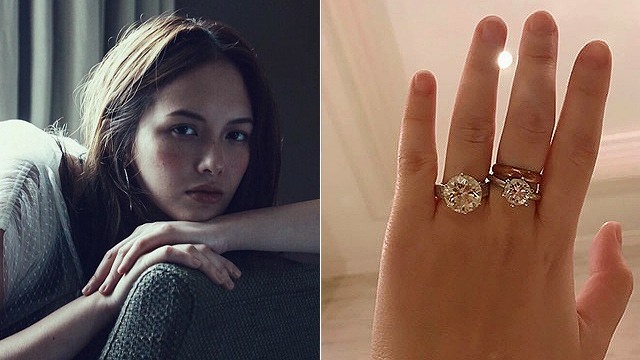 The beautiful couple has been relatively quiet about their private life, but the gorgeous round brilliant-cut ring that has 19—yes, 19!—diamonds on the platinum band including the huge one in the middle, definitely speaks for itself. 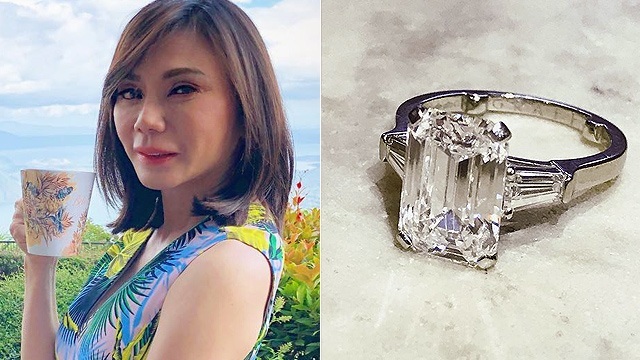 New mom Cristalle Belo might be busy with her baby Hunter James with husband Justin Pitt, but it’s nice to look back at the ring that started it all. 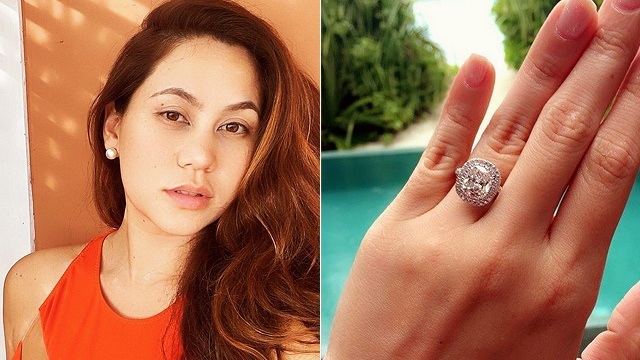 Justin asked for Cristalle’s hand in marriage with a whopping three-carat, cushion-cut diamond with a halo setting, which means the center gemstone is surrounded by pavé diamonds. To top it all off, the huge diamond in the center is placed on a diamond-studded band. That’s a lot of sparkle! 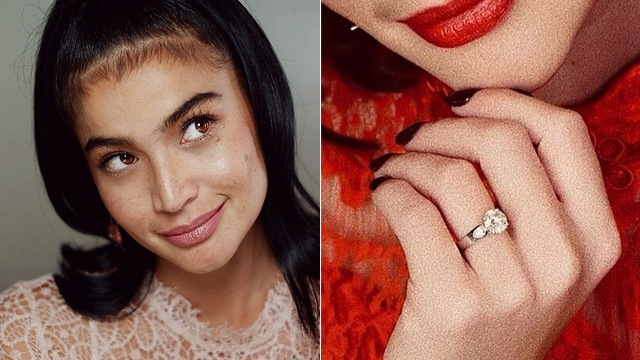 Anne Curtis and Erwan Heussaff were the talk of the town with their pre-nuptial shoot in South Korea, then their breathtaking destination wedding in New Zealand in November 2017. But before the swoon-worthy, tear-jerking, and also LOL-worthy ceremony happened (as proven by their wedding video), Erwan first popped the question in the middle of a hike in New York. He did so with tears in his eyes and a round brilliant-cut diamond with a prong setting on a platinum band in his hand. 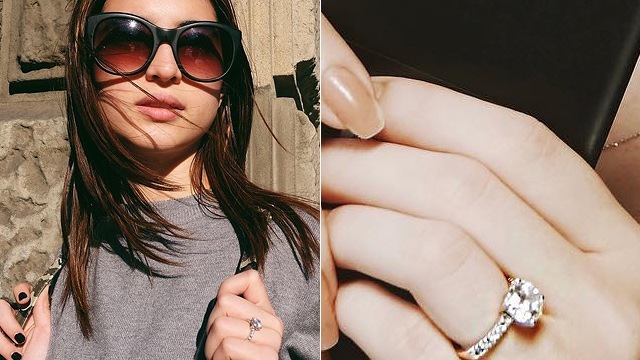 Richard Gutierrez surprised the beautiful mom-of-two Sarah Lahbati with a ring that he bought with his mom Annabelle Rama. According to Preview, Annabelle wore different diamond rings every time she was with Sarah and tried to see which one Sarah liked the best. Then, Richard found the perfect fit by stealing one of Sarah’s favorite rings and based the ring size on that. The result? A huge, round brilliant-cut diamond with a halo setting on a crystal-encrusted platinum band. Looks like it was worth all the planning! While others may opt for a huge rock on their hand, sometimes simplicity looks just as good—if not better. 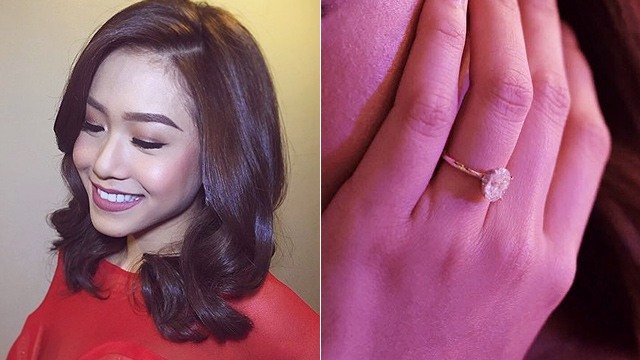 If you want proof, just look at Rachelle Ann Go’s stunner of a ring that she got from husband Martin Spies, who proposed while they were taking a stroll in Boracay. The beautiful ring is a solitaire, round brilliant-cut diamond perched on a platinum-gold band. Who says minimalist can’t be elegant? 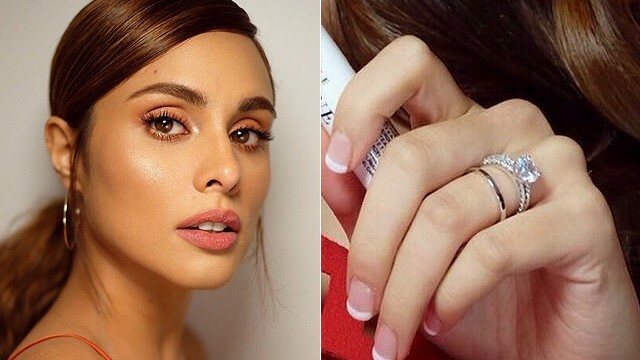 The 25-year-old actress tied the knot with her boyfriend of over two years, Billy Crawford, just this April on a beach wedding. Billy went down on one knee and proposed to her in front of family and friends with an effortlessly beautiful round brilliant-cut diamond placed on a thin band encrusted with stones halfway around it. He reportedly hid the ring for 15 months! No expense was spared when Vicki Belo and Hayden Kho tied the knot in Paris—with the grand reception taking place in the Opéra National de Paris - Palais Garnier, no less. From the Michael Cinco gown to the opulent set-up of the whole event, you can only expect the ring to live up to the extravagance of it all. (It does.) The engagement ring is from Graff Diamonds, a well-known jeweler from London. According to Pep, followers say that the center gemstone is an Ashoka-cut diamond which is a cut so rare, it’s patented—and it’s probably somewhere around two carats.